Winning has always been a matter of life or death. In ancient Rome, gladiators who won were showered with glory. Those who lost were killed. In 1964, Peru lost to rival Argentina in a soccer match, triggering a riot of epic proportions; 328 people were killed in the chaos. It is hardly an exaggeration to say sports can be war. After all, we use the same words, “victory,” “triumph,” and “conquer” to describe winning in both war and sports. To win is to survive. To lose is to die. So, can you really blame those who cheat to win? Surprisingly, the most shocking cheating scandal in the history of athletic competition didn’t involve performance enhancing drugs, rigged equipment, or unscrupulous officiating. It was about what happens when money, winning and nationalistic pride get mixed up in a place it shouldn’t be; when the instinct to come away victorious supersedes basic human decency. It went beyond cheating. 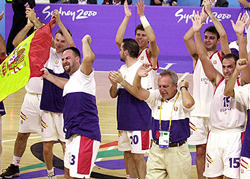 The 2000 Paralympic Spanish Men’s Basketball ID team proved that no matter what the rules are, humans, by nature, play to win. The 2000 Paralympics marked the first time that “Basketball ID,” or Basketball for the Intellectually Disabled, would be part of the games. The format of the games was virtually no different than it’s Olympic counterpart. There was less time on the clock and lines were moved in, but the game still required putting the ball in the hoop. Eight countries competed in the event: Russia, Poland, Portugal, Japan, Brazil, Australia, Greece, and Spain. As the games got under way, it was clear who the favorite was — Spain. At halftime of their first game at the 2000 Paralympic Games, Spain was up by 30 points on Portugal. It really shouldn’t have been that close. After finishing off Portugal by 15, they went on to defeat Brazil by 56 points, Japan by 67, Poland by 30, and Russia by 24 to win the gold medal. There was something different about the Spanish team, in that, there was actually nothing different about them. The team held an advantage simply because they had no disadvantage. As The Guardian later put it, “their biggest mistake was to win gold.” After the win over Russia, a photo of the team celebrating appeared on the front page of Madrid’s sports daily, Marca. Back home, the players were recognized, not as triumph sports heroes overcoming adversity, but as con artists. As word began to spread, Spanish officials told the players to wear hats and grow beards so they would not be recognized when they returned home to Madrid’s Barajas airport. The jig was up. 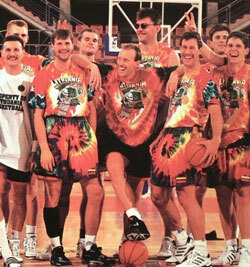 The 2000 Spanish Paralympic Basketball ID team was not who they claimed to be. Ten out of twelve players on the team possessed no mental impairment at all. In the world of Paralympic sports, that’s cheating. Before the Paralympics existed, several athletes competed in the Olympic Games who were classified as “disabled.” At the 1904 Olympic Games in St. Louis, German-American gymnast George Eyser won six medals, including a gold medal in the vault. He did all of this on a wooden left leg. Left-handed Hungarian sharpshooter Karoly Takacs won gold medals in both 1948 and 1952 without a right hand. Danish dressage competitor Lis Hartel won silver medals in 1952 and 1956 despite being paralyzed below the knees due to polio. More recently, New Zealander Neroli Fairhall became the first paraplegic athlete to compete in the Games (in archery) in 1984. South African (and infamous) Oscar Pistorius became the first double amputee to compete, running in the men’s 400 meters and the relay. It wasn’t until 1948 that Dr. Ludwig Guttman organized the first competition for “wheelchair bound athletes.” Dr. Guttman, at the behest of the British government, had recently opened a spinal injury unit in the Stoke Mandeville Hospital. This was due to the demand for a place that cared for the injured veterans coming home from World War II. On July 29th, 1948, the same day as the Opening Ceremonies of the Olympic Games in London, Dr. Guttman hosted the Stoke Mandeville Games, featuring 16 injured servicemen and women competing in archery. Twelve years later, in 1960, the first official Paralympic Games took place in Rome and included 400 athletes from 23 different countries. According to the CBC, these first games only included participants who had spinal cord injuries, like the case in 1948. It wasn’t until 1976, when the games were held in Toronto, that amputees and visually impaired athletes were allowed to compete for the first time. In 1988, it became practice to hold the Paralympics in the same city as the Olympics. In 1992, they added a Winter Paralympic games. By 2000, nearly 4,000 athletes from 127 countries were competing in 551 events across 20 different sports. 1996 was the first year that the Paralympic Games included athletes with mental impairments. For the ‘96 games, and the 2000 Sydney Games, the process to be eligible under this impairment type was quite simple and determined by the individual countries. It required a review of all readily available medical information, doctor and psychologist assessments, and educational documents. There was neither a test nor review done by the International Paralympic Committee (IPC). There were no actual requirements or benchmarks that all participants had to heed too. There was nothing that said an individual had to meet certain standards in order to be labeled as “mentally impaired.” After all, up to this point, all of the disabilities that the Paralympics dealt with were apparent and visible. Mental impairments didn’t necessarily possess this quality. Each athlete who participates in the Paralympics must belong to one of the ten “eligible” impairment types as set by the IPC. Many of these impairment types are noticeable, like “impaired muscle power,” “short stature,” or “limb deficiency.” Others require more monitoring and assessments. “Intellectual impairments,” one of the ten eligible impairment types, are often invisible and can be very tough to classify or quantify. The 2000 Paralympic Games began 21 days after the Summer Olympic Games ended, on October 22nd. In accordance with tradition, both athletic competitions were in the same location, Sydney, Australia. An estimated 3,800 athletes from 127 countries competed over 11 days. It had worldwide sponsorship deals from companies like Visa and Nike. Coverage of the Games was shown across the globe and it was the year’s second largest sporting event, behind only the Olympic Games. For many of the athletes, just participating was their triumph. For others, participation wasn’t the goal, winning was. Years of training, preparation, and sacrifice — like their Olympic counterparts — put them on the cusp of a fantastic athletic accomplishment. To many, their disadvantage made triumph that much sweeter. According to the Paralympics own website, the name “Paralympics” is derived from the Greek preposition “para,” meaning “beside” or “alongside.” This is meant to illustrate how Paralympic Games should “parallel” the Olympic Games and “how the two movements exist side-by-side.” Additionally, in 1989, the International Paralympic Committee (IPC) was founded as a non-profit to oversee and govern the games. In not only name, but also by infrastructure, where the Games were played, and how they were governed (the Olympic Games is run by the IOC, the International Olympic Committee), the Paralympics are supposed to mimic the Olympic Games. This includes the pressure to compete at the highest level possible. Only weeks after the conclusion of the 2000 games in Sydney, a package arrived at the Paralympic headquarters in Bonn, Germany. Inside of the package was a Spanish team kit, 150 pounds (the amount given to each athlete as per diem), and a gold medal. Several days later, Capital, a Spanish business magazine, published an expose written by 26-year-old Carlos Ribagorda and member of the Spanish basketball team. In the expose, he admitted that he and nine other members of the team were not mentally impaired. The expose continued to say that not only was this known by the Spanish Paralympic Committee, but they went to great lengths to cover it up and were actually the ones who recruited the athletes to play in the Games. The article laid out a conspiracy of epic proportions. It detailed how, in the words of Ribagorda, “the whole Paralympics movement was a farce.” Five months prior to the Games, Ribagorda, at the invite of Spain’s Federation for Mentally Disabled Sports (FEDDI), was asked to try out for the team in Madrid. It is unclear in the article why Ribagorda was invited in the first place, but another source said he had been “infiltrating” the team for up to two years. Despite knowing something was amiss, he went along with it. He expressed several times that he was never tested for any mental impairment while training. Said Ribagorda, “There were no real checks, no examination of medical records. I just went along, told them that I suffered from being mentally handicapped.” The only test he ever took was for blood pressure, immediately after doing six push-ups during his first day at training. He made the team along with eleven other men. Of the twelve on the team, Ribagorda estimated that only two of them possessed any mental impairment. The ones who made the team weren’t just average basketball players either. It was uncovered later by Gigandes, a Spanish basketball magazine, that several players came from mainstream amateur clubs in Spain and at least one of the players had actually been employed by a professional club. This was an absolutely absurd brazen disregard for the rules. The question, of course, is why? Why did the FEDDI want to win so badly? Money and power are the simplest answers. The president of the FEDDI was Fernando Martin Vicente. 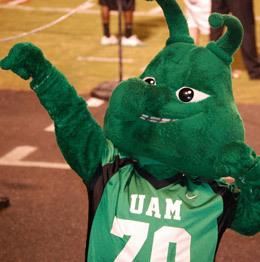 According to several sources, he personally was the one who recruited and approached athletes to be on the team. He was, at the time, one of the most powerful men in the world of “disabled sports.” A former Madrid city councilor, he was member of the International Paralympic Committee and vice-president of Spain Paralympic Committee. In 1975, he founded the National Association of Special Sports (Ande), which received government financial support every year. He was also a father of a disabled child who participated in many of these organized events. To complicate matters even further, this wasn’t the first time Vicente had been accused of using his power to further his own interests. 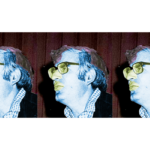 In the 90s, several Spanish newspapers accused him of using the government funds meant for Ande to finance his lavish lifestyle, including a “yacht, eight cars, a Porsche, five houses and half a dozen large pieces of land.” The thinking went that Vicente was again using a supposedly charitable organization, the FEDDI, to fill his coffers. With several multinational sponsorships, like Telefonica and BBVA, at stake, there was a need to win and grab attention to ensure their continued support. But what about the players? Why would they fake being mentally impaired? On the surface, Ribagorda’s answers to these questions seem to make, at least, some sense. “I think people saw it as a free trip to Australia,” Ribagorda said later in an interview. The winning team of the tournament got to split approximately two hundred thousand dollars. But the real reason seems to stem from a basic human instinct — winning feels good. After all, if Ribagorda and his teammates didn’t want to, why did they go to such great lengths to win? Why didn’t anyone speak up until after the tournament? Why fake being disabled? No matter who your opponent is, or if they are outmatched, or at a disadvantage, winning is to conquer. Winning is to survive. The aftermath of this scandal extended far and wide. Fernando Martin Vicente resigned a few months later. It took thirteen years, but he was finally found guilty of fraud in October 2013. The players, including Ribagorda, were cleared of all charges. Later, it was revealed that Spain wasn’t the only one cheating. Several Russian basketball players — part of the team Spain played in the finals — were also found to have no mental impairments. The same went for a number of swimmers and table tennis players from other countries, including, again, Spain. The saddest part of it all was that due to the complete failure and inability to test for “mental impairment” by the IPC, all intellectually disabled persons were barred from participating in the Paralympics. For many athletes, this was devastating. It wasn’t until 2012, after a complete overhaul of assessment, definition, and evaluation of “mental impairment,” that the IPC allowed these athletes to compete again in the Paralympics. One athlete who participated in 2012 was swimmer Chloe Davies of England. In a profile for Time Magazine, she said that qualifying for the 2012 London Paralympic Games was “her greatest achievement.” She finished 5th in the one hundred meter backstroke and ninth in the two hundred meter freestyle. Nonetheless, she’s already given her intention to return for the 2016 Paralympic Games in Rio de Janeiro.